Amid all the morning sickness, body aches and discomforts that expecting mothers put up with before the baby arrives, shopping for tiny, adorable clothes for the unborn toddler is the experience they look forward to the most. No matter what the budget limitations are, there are apparels, furniture, toys, strollers and diapers to meet the requirements of every growing family. According to a study, the total expenditure on baby products in the US alone was at least USD 23 billion in 2013. Sales over the internet in this category grew at an annual rate of 14.5 per cent from 2008 to 2013, to about USD 5.6 billion. In the face of so many options, every parent wants to pick out the best clothes and accessories for their baby. In a market that is filled with mass-produced clothes, many parents like to stay away from the common spread and look for unique options that let their baby stand out in a crowd. If you are one among these parents, here are a few things you should keep in mind before building your baby registry with unique ideas. Before you let the child use any of the products, make sure that it has been washed and cleaned thoroughly. Clothes that have ties, buttons, bows and decorative stones bear risks of choking and injuring the baby. For example, the boy apparel section in many clothing stores sell tuxedos for babies that look cute with their bow-ties and buttons. These may find their way into your house as gifts from friends and family who may not be aware of problems associated with these frills. In these circumstances, it is best to either remove the add-ons before use or, if you have the option, return it to the store. The number of comparable decorations are higher in girl wear for babies that are sold commonly. For example, an American company recently drew a lot of flak for selling high-heeled shoes for babies. Experts recommend clothes made from 100% cotton as ideal, since such fabrics are comfortable, durable, and wash well. Since young children need a lot of attention and time, parents should buy clothes that say, “machine washable” on the label to save the time and energy involved in hand-washing or ironing. A lot of parents will confirm that dressing a wiggling baby can be quite a struggle and it is possible that your baby may need to a change several times in a day. Make sure that you invest in outfits that are uncomplicated in structure and come with an easy opening for diaper changes. Other preferable features are wide necks, zippers/snaps in the front and loose sleeves. The definition of “new-born” size varies from child to child. 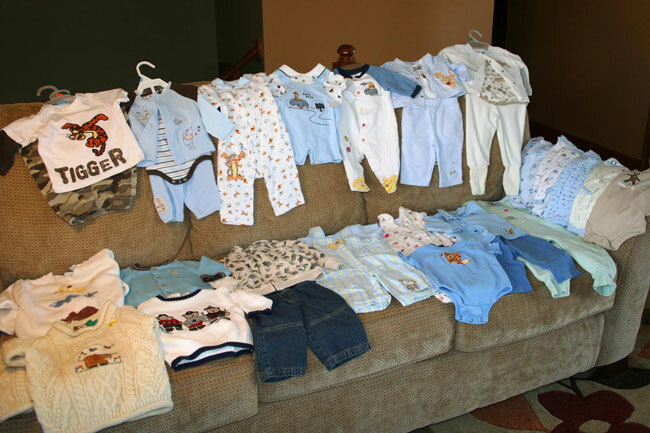 While the idea of shopping for baby clothes can be tempting, parents must remember that infants grow fast. In fact, it would be wiser to buy clothes according to baby size than age. Previous Explaining Fashion Photography – Why Do You Need A Fashion Photographer?